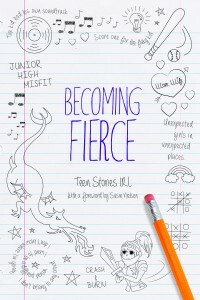 Authors Chris Benjamin and Jo Treggiari will talk about the peaks and valleys of writing about your own angst and woeful youth, like they each did for the Becoming Fierce anthology (one of Quill & Quire’s books of the year). 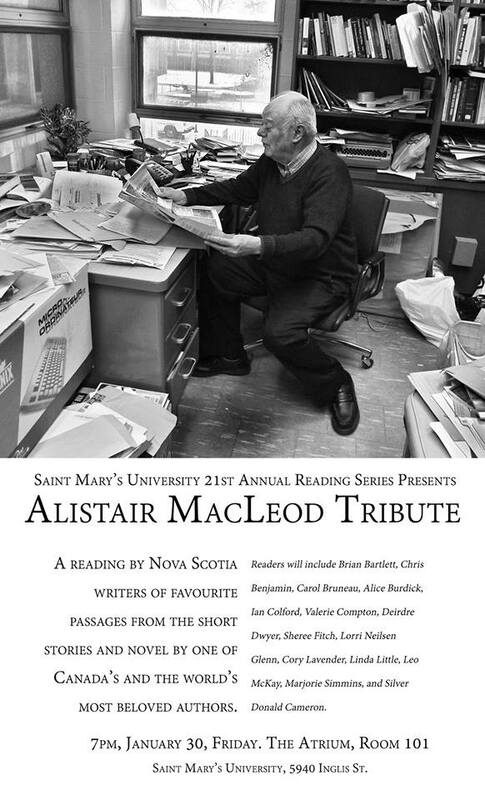 Join us for a reading by Nova Scotia writers from the works of one of Canada’s most beloved authors, Alistair MacLeod, on Fri Jan 30, 2015, 7:00 pm, at the St. Mary’s Atrium (5940 Inglis St.), Room 101 in Halifax. 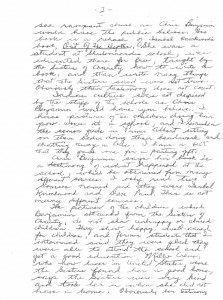 Readers include Brian Bartlett, Chris Benjamin, Carol Bruneau, Alice Burdick, Ian Colford, Valerie Compton, Deirdre Dwyer, Sheree Fitch, Lorri Nelson Glenn, Cory Lavender, Linda Little, Leo McKay, Marjorie Simmins, Silver Donald Cameron, and Carole Langille. Can great literature be political? Actually, it always is because great literature always has an impact beyond the specific story it reveals. It universalizes itself into a potent theme. The key to making your story memorable is the development of unforgettable characters. Join Pictou-Antigonish Writer-in-Residence Chris Benjamin for a 90-minute workshop on how to develop characters who advance whatever theme you want to work with. Theme (be it spiritual, philosophical, political, introspective) = Character, because the political is personal. 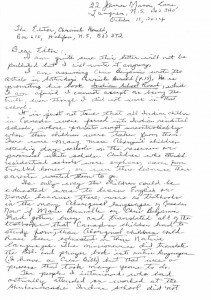 Your characters – the things they believe, say and do (and the ways these things are inconsistent) – will determine your theme, the message or central idea readers take from your work. Author Chris Benjamin’s first novel, Drive-by Saviours, won the H.R. Percy Prize, was longlisted for a ReLit Prize and made the Canada Reads Top Essential Books List. 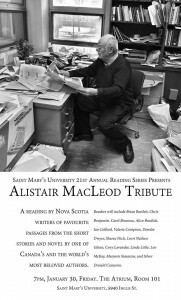 Chris has also published more than a dozen short stories in literary journals, magazines and anthologies (published by the likes of Descant, The Dalhousie Review, Nashwaak Review, Galleon, Roseway, Pottersfield Press, Voiceprint Canada, The Society, Rattling Books, Third Person Press, and Fierce Ink). New Glasgow Public Library (902-752-8233). Tuesday, November 25, 6:00pm – 7:30pm. As writers we love reading, but print is only one way to share story. This session will explore how stories can transcend media, but also how each medium shapes story, and how as storytellers we can adapt our tales for maximum impact and reach. Facilitated by Writer-in-Residence and author Chris Benjamin, with special guest filmmaker Kevin Moynihan. Chris and Kevin worked together on a series of short video’s based on Chris’ award-winning book, Eco Innovators: Sustainability in Atlantic Canada. Hosted by Writer-in-Residence Chris Benjamin, this workshop will explore the challenging art of short fiction and how to pack a novel’s punch, not to mention a beginning, middle and end, into just a few thousand words. Bring your pens and pencils, your papers and pads. 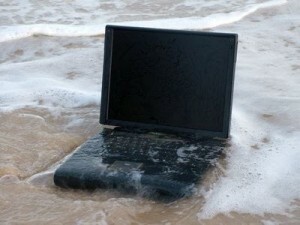 Writing activities will abound. Chris is perhaps best-known as a journalist but he has also published about a dozen short stories in literary journals, magazines and anthologies (published by the likes of the Dalhousie Review, Descant, Nashwaak Review, Galleon, Roseway Publishing, Pottersfield Press, Voiceprint Canada, The Society, Rattling Books, Third Person Press, The Coast, and Fierce Ink). 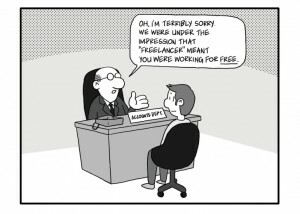 For anyone who has ever dreamed of hanging a “Professional Writer” sign and making writing your full-time gig, get the inside scoop on the do’s, don’ts, snags and joys of being a freelance journalist and writer. Chris Benjamin has worked in Halifax as an independent, self-employed freelance journalist for the past eight years and has written for a long list of magazines and newspapers in Canada and the United States. A few highlights include The Globe and Mail, Science Friday, Chronicle Herald, Z Magazine, Canadian Dimension, This Magazine, Briarpatch, Saltscapes, Halifax Magazine, The Halifax Examiner, Progress Magazine, and The Coast. 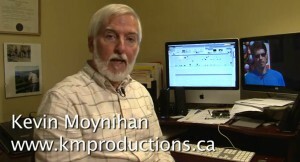 He received honourable mention in the 2009 Canadian Journalism Awards. 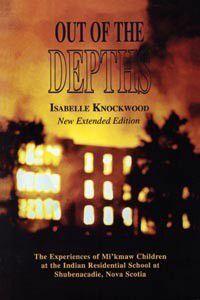 The Halifax Media Co-op’s Robert Devet wrote a review of Indian School Road as a companion piece to Isabelle Knockwood’s book about the survivor experience of the school. 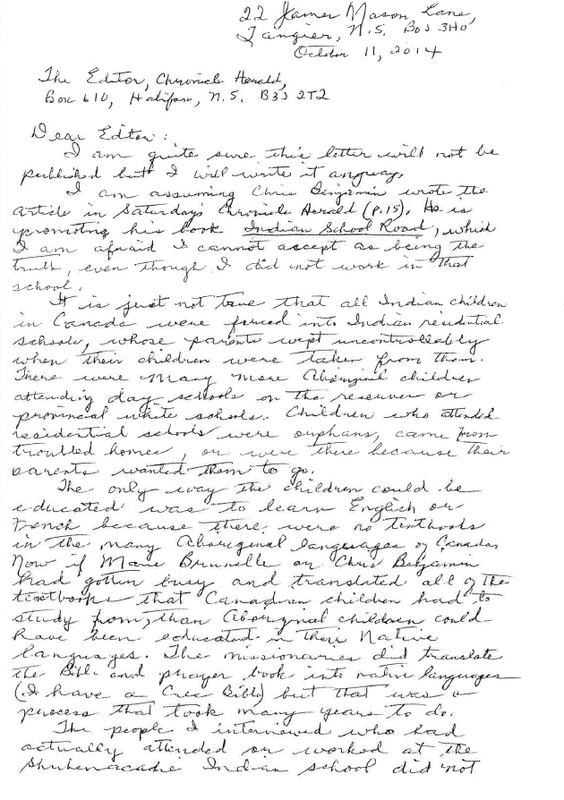 Her book, and the questions she raised, was an inspiration for Indian School Road.